An upmarket rebranding of the venerable Tahoe, the Yukon is impressively equipped and tough enough to tow your toys. The Denali version is an excellent alternative to the more expensive Escalade, with the same engine and performance characteristics. At its price, some luxury brands offer more well-rounded alternatives. The Yukon lives in an awkward middle ground between premium and luxury, but some may find it’s an SUV that’s just right for them. The Yukon is a rebadged Tahoe that costs a few thousand dollars more. So, what do you get for the extra few thousand over a comparably trimmed Tahoe? Better seats, a standard Bose sound system with SD card slots, different wheels, and laminated glass that reduces road noise. Beyond these features, there’s a tidier front end and not much else that’s different. These features are hard to justify but may be worth it overall if you plan on splurging for premium audio or you find the Yukon more attractive. If you’re looking for a large SUV with a similar refinement that can tow an equal amount and costs less, you may want to consider the Nissan Armada. The Yukon is no car-based crossover. It’s a truck. Based on the Silverado 1500, the Yukon is a body-on-frame SUV. As such, it can handle some trails, tow, and take a beating with more poise than its car-based counterparts. The tradeoff is a high ride height and high center of gravity that cause excessive body motion in turns when compared with crossover SUVs. However, these same qualities make it incredibly comfortable on the highway and rough roads. This SUV is available with two engine options. A 355 horsepower 5.3 Liter V8 and a 420 horsepower 6.2 Liter V8 on the top-trimmed Denali model. The 5.3 Liter will do zero to 60 mph in 7.5 seconds, while the Denali will do it in 5.8 seconds. That’s fast for a nearly 3 ton SUV! Of course, neither V8 is particularly efficient. The 5.3 Liter is EPA rated at 16 miles per gallon city and 23 highway, 1 less mpg for Denalis and 4WD models. Both engines are paired with an 8-speed automatic that sometimes hesitates to downshift, many reviewers only gripe about these powertrains. The 2018 Denali will receive a 10-speed automatic. The Yukon is rated to tow up to 8,500 lbs, not the highest in the class but respectable nonetheless. The brakes are large and effective. The Yukon will stop on a dime in both dry and wet weather, the same can’t be said for many of its competitors. Ride quality is an area where these Large SUVs really shine, the cabin is luxury car quiet and the suspension is soft and compliant. Drive the Yukon reasonably, and you’ll be surprised by the pleasant the experience. The Yukon differentiates itself from the Tahoe on the inside by adding many premium features. There’s two tones, contrast stitched dash materials on SLT and higher trims. A Bose premium audio system is standard. Improved dual firmness foam stuffs the seats for the benefit of your derriere. Speaking of seating, the Yukon is one of the few SUVs still available with a front row bench, permitting up to nine passengers. Second-row captain’s chairs are also available at the loss of one seat. The third row is impractical for adults. If you need an adult friendly third row, consider the Yukon XL. The controls in the Yukon are straightforward and easy to reach. There are large knobs for both the climate control system and audio system. The IntelliLink infotainment system is an easy to use touchscreen system that includes OnStar 4GLTE with a wi-fi hotspot. As a result, you can stream audio and perform a number of tasks with the app-based smartphone-like user interface. The system has received criticism for poor functionality, an issue we address in the reliability section of this review. This generation is the first to feature fold-flat rear rows, allowing additional carrying capacity and hidden storage beneath the cargo floor. There’s up to 94.7 cubic feet available with all rows folded, 51.7 behind the second row, and just 15.3 behind the third row. Some reviewers complain the high load height makes loading and unloading a difficult proposition for vertically challenged drivers. In summation, the Yukon offers a high-quality cabin that’s more refined than its sibling Tahoe, especially in the Denali trim. Although it’s essentially a rebadged Tahoe, the Yukon sports some unique body work and defining characteristics. The headlights are a noticeably different design and sport integrated LED lighting. A large chrome grille sits between them, emblazoned with the GMC badge. Denali models receive a unique chrome mesh grille. From the side, it would be difficult to tell a Yukon apart from a Tahoe without reading the badge. Lower trimmed Tahoes lack a body molding that’s on all Yukons and higher Tahoes. The fenders on the Yukon are also slightly more pronounced, a difference that’s difficult to notice unless comparing the two side by side. The back ends are nearly indistinguishable. The GMC wears different tail lights and on models that aren’t black, there’s a tell. If the D pillars are black on a non-black SUV, then it’s a Yukon. All the Tahoes wear body-color D pillars.The Yukon’s are black, giving an impression of a larger rear window that wraps around the rear. Of course, the Yukon also uses different wheels to distinguish their premium pedigree. The Yukon receives a 4-star overall rating from the National Highway Traffic Safety Administration. It achieved full 5-star results from both the front and side crash tests but performed poorly in the rollover test. The Insurance Institute for Highway Safety hasn’t crash tested the Yukon but does rate the available pre collision system as “BASIC,” the organization’s lowest rating. In spite of this, we believe the Yukon is one of the safer SUVs you can drive. It’s huge and weighs nearly three tons. Elementary physics dictates you’ll probably be on the right side of an unfortunate collision. Just in case you aren’t, the OnStar automatic crash notification feature will dispatch emergency services to your location in a matter of minutes. The full side curtain airbags and seat mounted airbags should do an excellent job of preventing serious injury. A standard teen driver feature allows you to set speed and volume limits, should you decide to relinquish your keys to your offspring. As long as this SUV is driven responsibly, safety should be of no concern. The 2017 GMC Yukon receives a 2.5 reliability rating from JD power, down from 3.5 in 2015 when the current generation was first released. Consumer Reports is less optimistic and offers a 1 out of 5 predicted reliability rating for the last few year models. Tons of consumers complain of the OnStar and GPS systems failing. The OnStar integrated hotspot is one of the stronger selling points for this SUV and it has a tendency to fail after a few months according to many owners. There are also complaints of poor pairing and poor voice recognition. The second most common complaints were for poor body integrity. It seems the seals and weather stripping don’t last very long, allowing excessive wind and road noise. 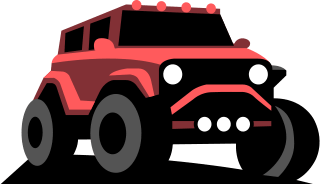 4WD models can sometimes get stuck in 4WD due to a faulty transfer case. The NHTSA research isn’t any less disheartening. The 2015 model was subject to 7 recalls, one of the highest numbers we’ve seen. All of the current generation Yukons are affected by a recall for airbags failing to deploy. It’s a huge recall that affects some three and a half million vehicles. Any GM dealer will fix the problem free of charge. Another half million GM vehicles were recalled for a faulty transmission oil cooler line that may leak, causing a fire. A staggering 557 Technical Service Bulletins have been issued for the Yukon. That means GM is aware of hundreds of known issues. The upside is parts for GM products are readily available and cheap. Labor isn’t bad either as pretty much any mechanic knows how to work on this SUV. Despite a poor reliability track record, many Americans still buy this SUV and we won’t fault you if you choose to as well. Just set aside a few thousand dollars for repairs and have a qualified mechanic thoroughly inspect a used model you’re considering purchasing. he Nissan Armada is also a truck-based SUV, albeit a smaller one. It’s still got 3 rows of seating and as much towing capacity as the Yukon. 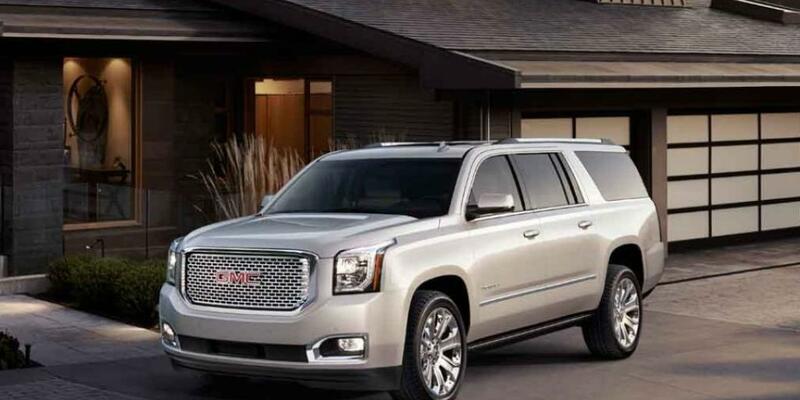 Its 5.7 Liter V8 makes considerably more power than the Yukon, but not as much as the Yukon Denali. It will do 0-60mph in just over 6 seconds, over a second quicker than the standard Yukons. The Armada suffers from poorer fuel economy with an EPA rating of just 14 miles per gallon city and 19 miles per gallon highway. On the inside, the Armada’s interior is more refined than the Yukon. It feels luxurious in comparison. The NissanConnect infotainment system receives far less complaints than GM’s IntelliLink. Speaking of complaints, the Armada is far less fussy. It’s one of the more reliable large SUVs on the market and has a clean record with the NHTSA. The same can’t be said for the Yukon. However, if you need 4 wheel drive, you’re out of luck. The Armada is only available in rear wheel drive form. The top-trimmed Armada is lavishly equipped with options including heated and ventilated seats, dual 7-inch monitor rear seat infotainment system, power sliding moonroof, and a full suite of advanced safety features. All for the same price as a mid tier SLT Yukon. It’s tough to argue with the value offered by the Armada, and we’d have it in warmer states. However, in states with inclement weather where 4WD is a necessity, the Yukon is a better choice. The SLE trim starts at $48,530 for RWD and $51,530 for 4WD, equipped with a locking rear differential, 3.08 rear axle ratio, 150-amp alternator, 5.3 Liter EcoTec3 V8, Autotrac 4x4 active case (4WD model), StabiliTrak stability control system with brake assist, Premium Smooth Ride suspension with front coil-over-shock, trailering equipment, black assist step with chrome accent, fog lamps, daytime running lamps, outside heated power-adjustable manual folding mirrors, Solar-Ray deep-tinted glass, hidden rear wiper, Rainsense front wiper, luggage rack side rails, 18 inch bright machined aluminum wheels, 17 inch full size spare wheel. Inside, there’s tri-zone automatic climate control, remote vehicle start, remote keyless entry, cargo net, manual tilt steering column, leather wrapped steering wheel, multi color display, Onstar with 4GLTE and built-in WiFi hotspot, 8 inch diagonal color touch-screen IntelliLink infotainment system, CD player, SiriusXM satellite radio, HD radio, Bose premium audio system, floor mats, front and rear parking assist, premium cloth trimmed seating, manual folding 60/40 split third row bench, and rear window defogger. Standard safety features introduced are air bags with automatic occupant sensing system, tire pressure monitor system, and rear vision camera. The SLE Value Package includes 20 inch polished aluminum wheels, inside rearview auto-dimming mirror, power-adjustable pedals, power rear liftgate, and universal home remote for $1,930. The $545 Enhanced Driver Alert Package includes Low-Speed Forward Automatic Braking, forward collision alert, Haptic Safety Alert Seat, IntelliBeam headlamps, and lane keep assist. The Convenience Package installs an inside rearview auto-dimming mirror, power-adjustable pedals, universal home remote, and a power programmable liftgate with height adjustment for $730. The Interior Protection Package costs $250 and includes all weather floor mats and rear cargo mat. The $580 Heavy Duty Trailering Package furnishes a 3.42 axle ratio, trailer brake controller, 2-speed transfer case in 4WD models, and the Premium Smooth Ride Suspension Package with air leveler. The SLT trim has an MSRP of $57,425 for 2WD or $60,425 for 4WD, with standard push button start, a hands free power rear liftgate, IntelliBeam headlamps, power folding and power adjustable outside heated mirrors, a keyless entry system, wireless charging for mobile devices, a power tilt and telescopic steering column, a universal home remote, a leather wrapped and heated steering wheel, Forward Collision Alert sensor indicator, leather trimmed seating, a power folding third row, a power folding heated 60/40 second row bench, rear cross traffic alert, lane keep assist, and side blind zone alert with lane change alert. The Open Road Package adds integrated navigation, a power sunroof, and a rear seat entertainment system with Blu-Ray playback for $2,880. The Interior Protection Package costs an additional $250 and includes all weather floor mats and rear cargo mat to protect your carpet. The $3,070 Premium Edition provides a uniquely designed chrome grille, a polished exhaust tip, bright chrome bodyside moldings, and uniquely designed 22 inch chrome wheels. The Heavy Duty Trailering Package equips a sturdier 3.42 axle ratio, trailer brake controller, 2-speed transfer case in 4WD models, and the Premium Smooth Ride Suspension Package with air leveler for $580. An Enhanced Security Package installs a theft-deterrent system, self powered horn, interior movement sensors, vehicle inclination sensors, and broken glass sensors for $410. The Denali trim starts at $65,965 for 2WD and $68,965 for 4WD. It arrives generously furnished with an upgraded rear axle, a sturdier 170-amp alternator, an Autotrac 2-speed active transfer case (4WD), a 6.2 Liter EcoTec3 V8 engine, an integrated trailer brake controller, upgraded suspension system, bright body side moldings, 20 inch polished aluminum wheels with all season tires, 8 inch IntelliLink infotainment system with integrated navigation, perforated heated and ventilated front row buckets, and heated second row captain’s chairs. The Open Road Package installs a power sunroof and a rear seat entertainment system with Blu-Ray playback for $2,385. An Enhanced Security Package provides a theft-deterrent system, self powered horn, interior movement sensors, vehicle inclination sensors, and broken glass sensors for $410. The Interior Protection Package runs $250 and includes all weather floor mats and rear cargo mat.